I have to be honest – I am not much of a baker, but something I do well is cupcakes! We are a cupcake loving family in this house, so they are always a great treat for the kiddos. While looking for a new, fun recipe to try out, I came across a great one at www.cocacolamilitary.com and instantly knew the family would love it. This recipe uses Sprite Zero, and I honestly think it made these cupcakes so amazingly light and fluffy. They were full of flavor and a huge hit with everyone! My daughter insisted that we use the pink frosting, so I mixed it up a little bit and brought some of the Spring season to these delicious cupcakes! Heat your oven to 350 degrees. In a large bowl, combine the cake mix and the Sprite Zero. Ignore the instructions on the box; you only need two ingredients to bake this cake! Use a whisk or mixer to combine the cake mix and sprite. Place paper liners in a cupcake tray, then fill the cupcake liners until they are 2/3 full. Bake the cupcakes for 15 minutes. Sprite Zero cupcakes will bake a little faster than the directions on the box suggest. While the box said that I would get 24 cupcakes from a box of mix, I found that using this recipe the yield was 20 cupcakes. Place the cupcakes on a cooling rack, and then get to work on the frosting. Cream the butter using a mixer on medium speed. Once the butter is nice and fluffy, mix in the vanilla. Start to add in the sugar. You want to add the sugar about half a cup at a time and let it mix completely before adding more. If you put too much powdered sugar in a mixer all at once you end up with powdered sugar everywhere. Alternate adding the sugar and a tablespoon of milk while mixing. The frosting is done once you have added 3 cups of the sugar, and the frosting is the consistency you desire. I wanted a nice fluffy frosting because those are easier to work with when you frost the cupcakes. 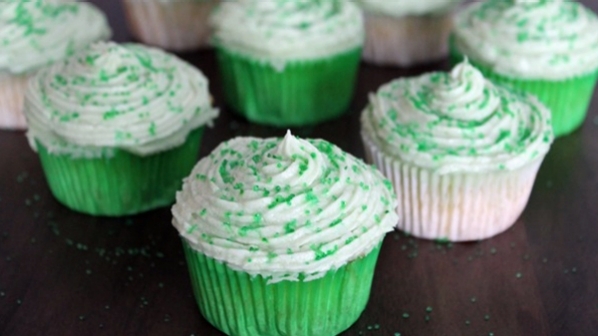 An optional last step is to add food coloring until the frosting reaches your favorite shade of green. Top each cupcake with about 3 tablespoons of frosting. You can use a piping bag to pipe the frosting onto the cupcakes, or simply use a knife to spread the frosting over the cupcakes. Once frosted, top with green sprinkles. These cupcakes came out great! I even made an extra batch for a bbq we had this weekend for my husband’s birthday. The kids loved them and helped me decorate them as well. This recipe is a must try! 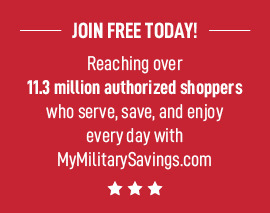 For more coupons, recipes, and deals head on over to www.cocacolamilitary.com to check out all the great savings Coca-Cola® has to offer. And right now look for Coca-Cola® coupon offers in-store.